Some cat owners can mark the coming of spring by the amount of cat hair covering their home. As your kitty trades their winter coat for summer fur, you might start to find tumbleweeds of hair drifting through the house, furniture becoming the color of cat, and your clothes looking more and more like a Chewbacca costume. There’s a reason your cat may shed more this time of year, and it’s normal. While you may not be able to stop it, there are some things you can do to deal with the mess. Seasonal shedding is actually more common with cats in the wild and those that spend a good amount of time outdoors. 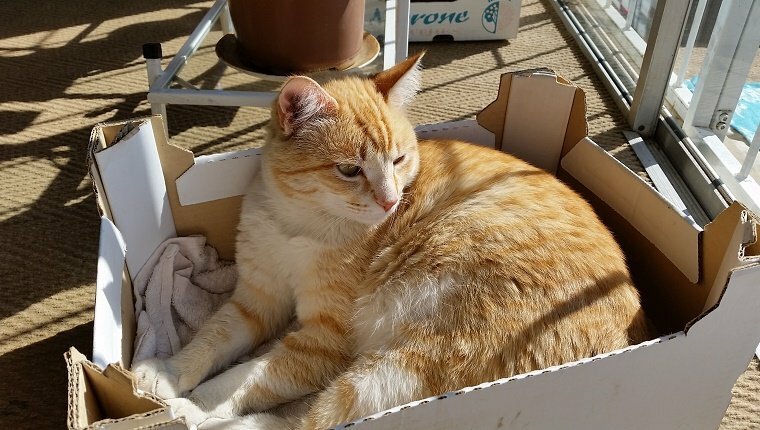 Indoor kitties live with artificial lights that confuse their circadian rhythm, which can lead to a steady shed all year long rather than seasonal shedding. This is also completely normal. Cats who shed in the spring lose their heavy winter undercoat to keep cool in summer. In the fall, they’ll grow a new coat in preparation for winter. Regardless of when your cat sheds, the process is natural and important. Dead fur can cause skin irritation, and it needs to be removed through shedding. It’s healthy, and if your cat doesn’t shed, it could be a sign of poor diet or medical issues. The same can be said if your cat sheds too much. Pay attention. 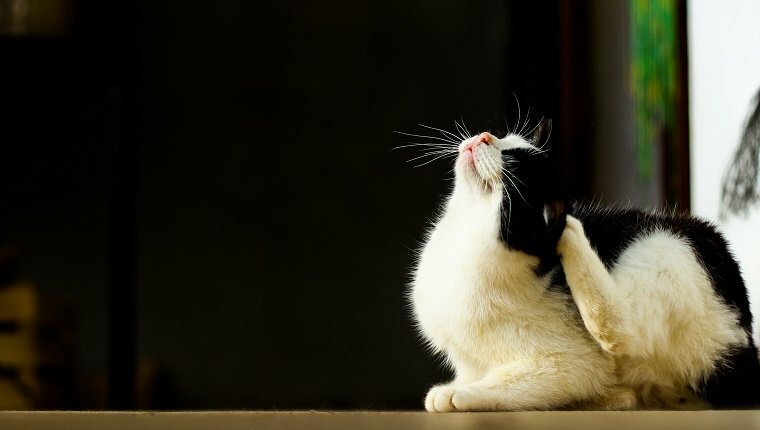 If your cat is shedding more than the yearly usual, or if you notice bald patches or a very thin coat, take a trip to the vet. You can find more about the possible causes of excessive shedding here. There are a few factors that determine a cat’s shedding habits. Some breeds are prone to shed more or less than others. The amount of daylight a cat experiences tells their body when it’s time for a seasonal shed, too. 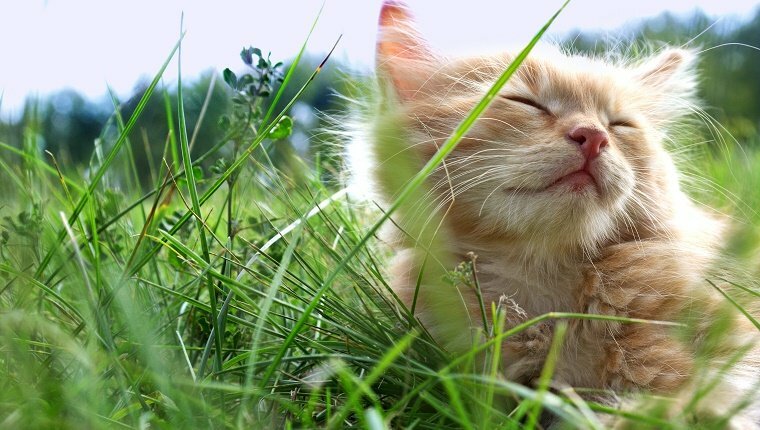 So if your cat spends a lot of time in the sunshine, they may be more prone to a spring shed as the days get longer. 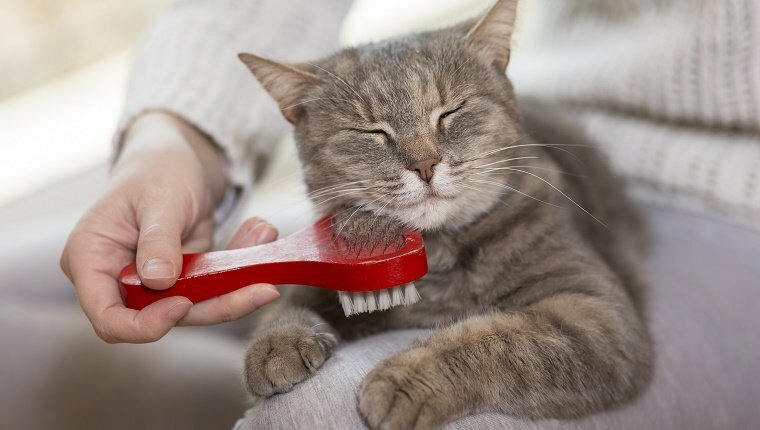 Brushing regularly is the best way to take care of excess hair at the source before it starts blowing around your home or coming out of your cat in the form of hairballs. A good indicator of how often you should brush your cat is the length and thickness of their coat. Your cat’s breed will often determine what kind of coat they have and how much they’ll shed. 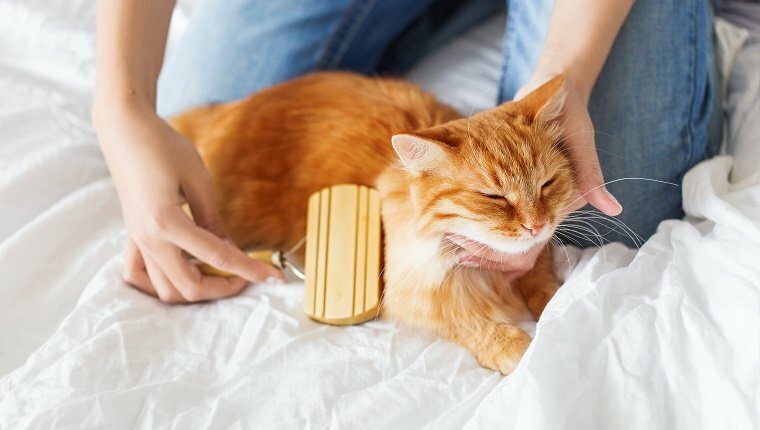 If your kitty isn’t used to brushing or gets fussy, it’s important that you work to make it less of a stressful experience. Start with brief sessions at first, and give plenty of praise and food rewards. 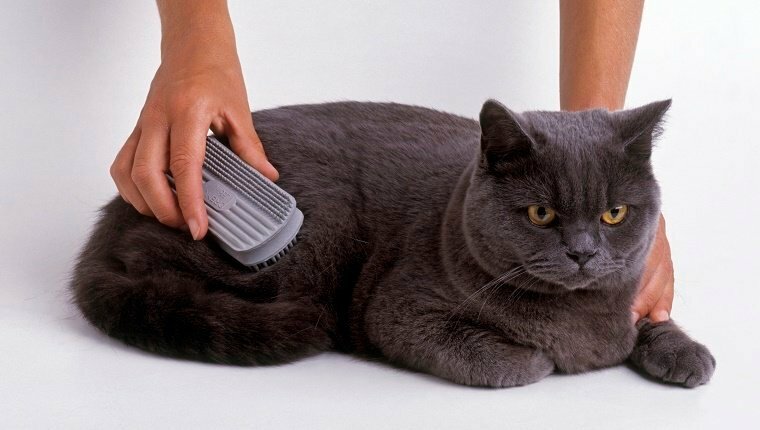 Once your cat starts to get more comfortable, increase the duration of brushing sessions. Make it a positive bonding experience, and your cat will come to appreciate it more. Always brush with the grain in the direction that your cat’s fur naturally grows. Brushing out knots and mats can be difficult, and some may need to be cut out. If your cat has a lot of mats, you may need to see a groomer or consult your vet before you attempt to get rid of them yourself. 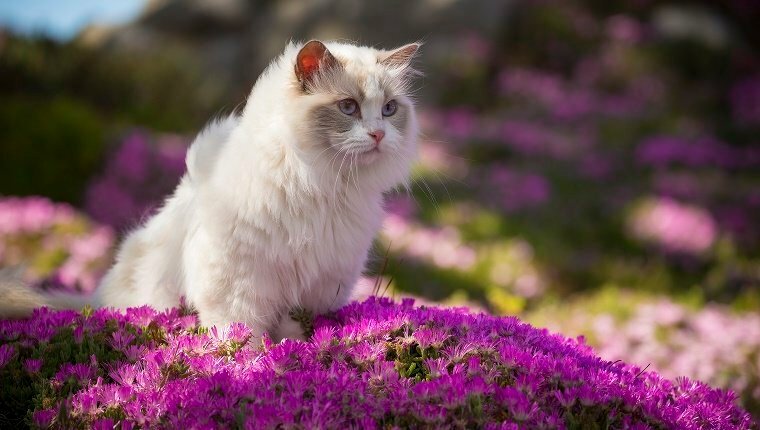 Long-haired cats can benefit from starting with a shedding rake or comb which can reach down near the skin and dislodge some hair from the undercoat while leaving the outer coat mostly unaffected. Shedding rakes are long and stiff, which makes them ideal for getting deep under long fur. Cats with long, flowing fur can require brushing every two days at least. Here is a highly rated shedding rake available on Amazon. Short-haired cats do well when you start with a bristle brush. This can loosen some of the hair trapped near the skin that causes irritation. 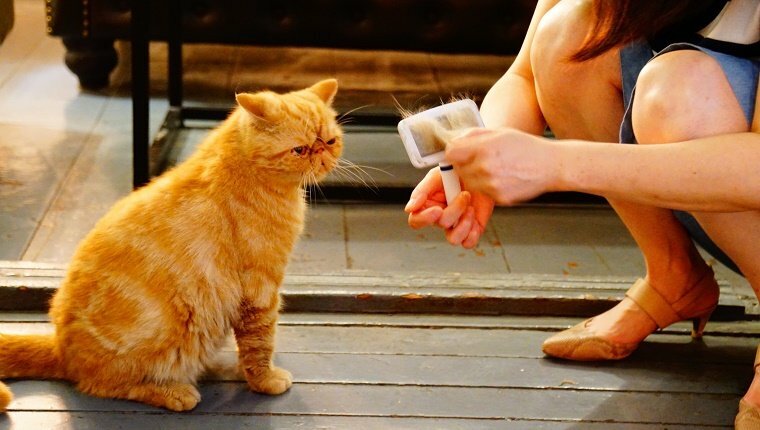 Short-haired cats with a double coat can get by with a little less brushing than long-haired cats, and those with a single coat can do with even less, but it’s important to maintain regular grooming sessions, especially this time of year. You can find a highly rated bristle brush on Amazon here. 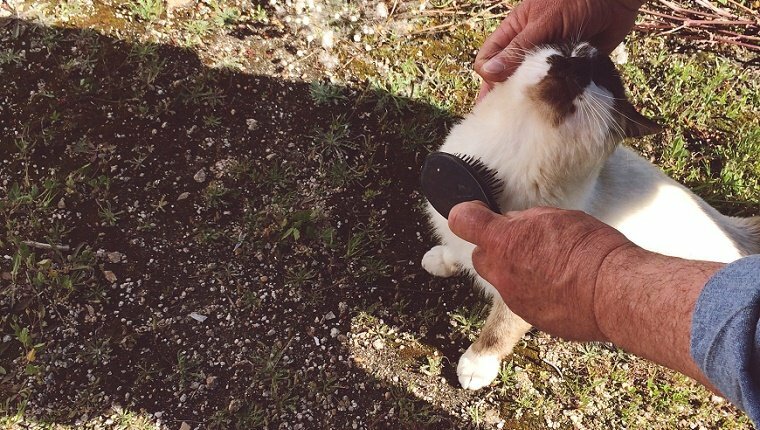 With cat hair of any length, it’s a good idea to follow up with a slicker brush. These have smaller bristles and are ideal for collecting cat fur before it starts blowing around the house. It’ll help grab the hair that you’ve been dislodging with other brushing. You can find a great slicker brush on Amazon here. 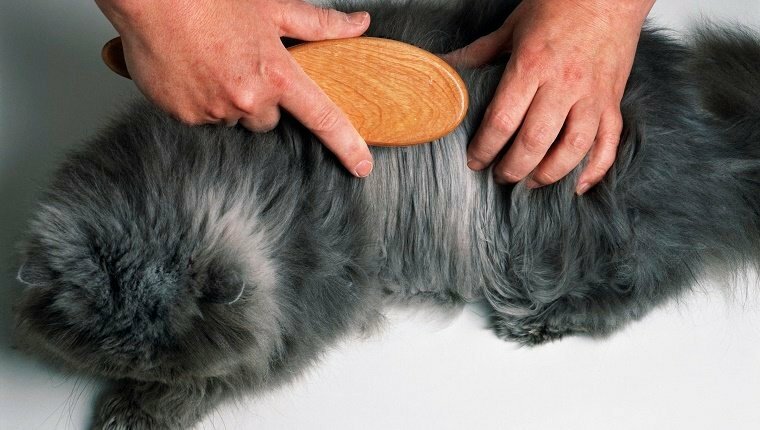 Brushing helps keep your cat’s coat and skin healthy by removing dead hair and mats or knots that can rub and cause injuries or hot spots that are open to infection. It also allows you to collect the fur before your cat sheds it around your home. When you brush your cat, everybody wins. During this time of year, it’s especially important to have an army of lint rollers at your disposal. This will help you leave the house without looking like you hugged a werewolf. Keep a few by the door, and have a couple in the bathroom so guests can dispose of the fur that accumulates on them when they come to visit. Lint rollers will save you some embarrassment when you leave the house, and your friends and coworkers who have allergies will thank you by not sneezing on you. You can find lint rollers on Amazon here. 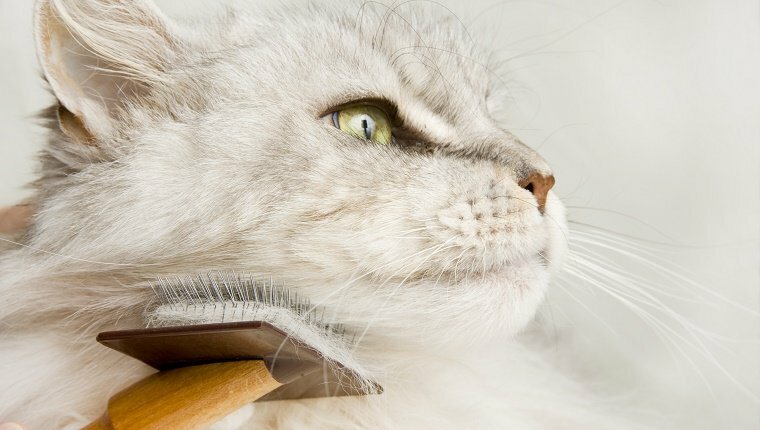 Even if you’re diligent about brushing and keeping your cat’s coat healthy, you’re still probably going to have some fur flying. Running an air cleaner can help, but you need to make sure you’re replacing your filters regularly, especially this time of year. 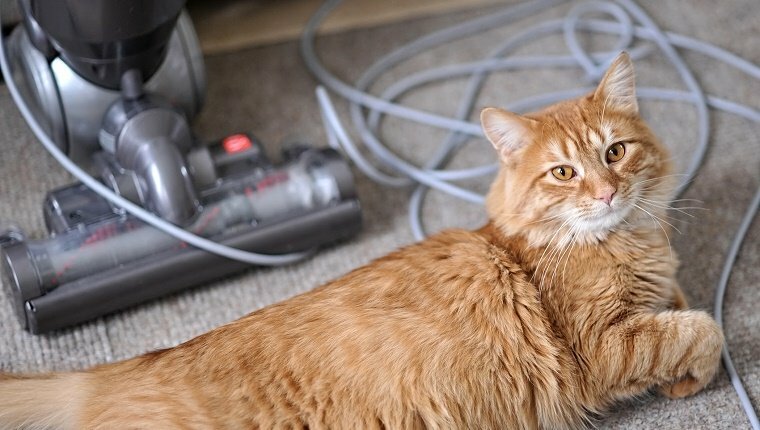 Some air cleaners are designed to handle pet hair, so long as you clean them. You can find a highly rated air filter on Amazon here. When it comes to cleaning carpets, you may want to use a vacuum, but many cat owners have had luck using a rubber broom with squeegee bristles. This helps to clump all of the hair together in a ball and seems to work better than just vacuuming alone. You can find a good rubber broom on Amazon here. Some people have also tried using their rubber-soled shoes to clump hair together, even putting them on their hands to do so. For tiled or wood floors, damp mopping works just fine. 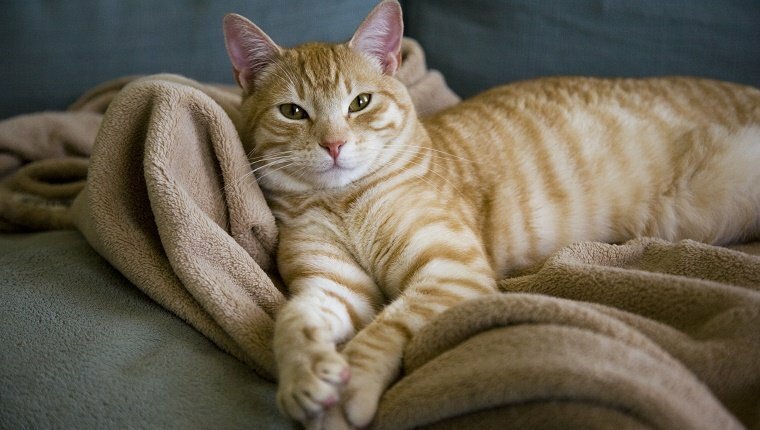 If your cat has a favorite spot on the furniture, an easily washable blanket or furniture cover is a must. Place it where your cat likes to rest. That way, you’ll be able to spare your furniture from at least some of the hair storm. Anything that can easily be thrown in the laundry or taken outside to shake out or will work fine. 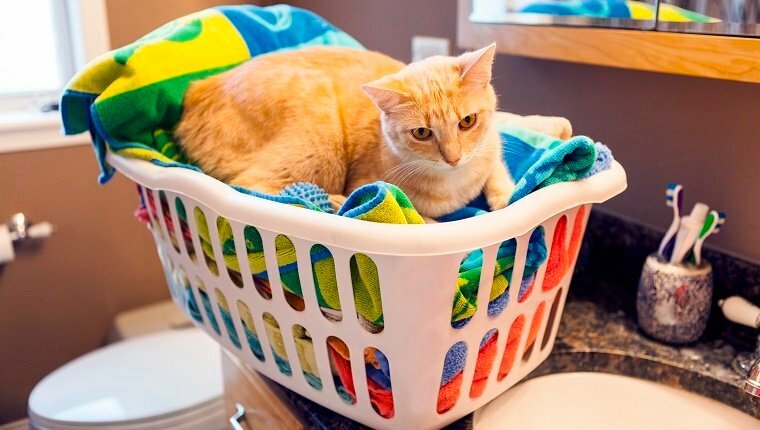 If your cat likes joins you in your bed, consider getting a duvet cover that you can remove and wash.
How else do you fight the fur that your cat sheds during spring or all year long? Let us know in the comments below!